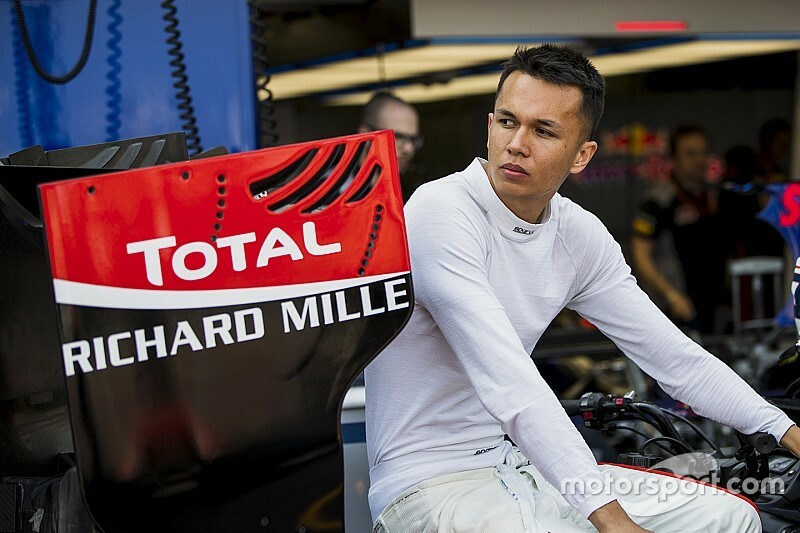 ART Grand Prix Formula 2 driver Alexander Albon says the position of his collarbone injury is preventing him from racing this weekend in Azerbaijan. 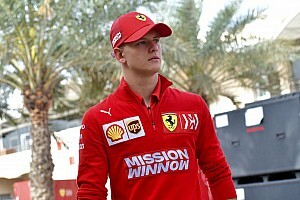 Albon broke his collarbone in a mountain biking accident on 10 June and although he is recovering after successful surgery, the placement of his over-the-shoulder seat belts meant he was ruled out of racing in Baku, where he will be replaced by Sergey Sirotkin. "I've got one of the metal plates inside," he told Motorsport.com. "You see MotoGP guys and they can jump on the bike pretty soon after an injury like this, but the problem with us is that we have our belts [over our shoulders]. So, that's why we can't go to Baku. "Right now, it's improving so much every day, as it should do. It's still a little bit painful, but nothing like the pain I was in when I crashed." Albon explained that he sustained the injury when he crashed into an unsighted drop while out on a training ride. He said: "I was cycling – mountain biking in the forest – and there was just a huge drop and none of us saw it and unfortunately I was the first one to go past it. "We went to the hospital and everything and I needed surgery. We went to see a specialist, so we had to wait a while, until [the following] Wednesday, to get the operation." 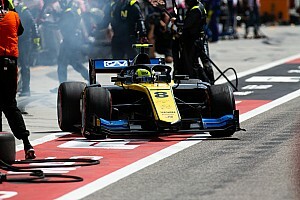 The 21-year-old is aiming to return to action at the following F2 round in Austria, but explained that it is also important for him to be fully healed before the series visits the physically demanding tracks of Silverstone and the Hungaroring later in July. "It's going to be tough, but the Red Bull Ring is definitely our objective," he said. "That's what I'm focused on and I have my trainer and we're doing everything possible to get back on track and to be ready. 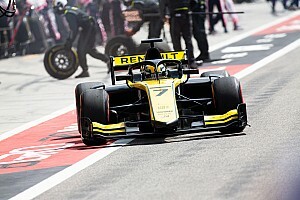 "Luckily the Red Bull Ring isn't the most physical circuit, but after that we have Silverstone and Hungary, which are the two most physical tracks for us [in F2]. "So of course we need to be as prepared as possible."